Benefits of QuickBooks Hosting vs QuickBooks Online? Benefits often not available with QuickBooks Online Include tracking inventory, generating purchase orders, assigning multiple price levels to items, and enhanced online bill pay functionality. Depending upon such issues as the number of businesses owned versus the QBOL selected, the costs of Cloud9 Real Time Hosting are less. Cloud9 Real Time hosting functions as if it is running on your desktop computer or laptop; the layout and user interface are the same as your desktop QuickBooks version. QBOL, conversely, has the functionality of a website mechanism. 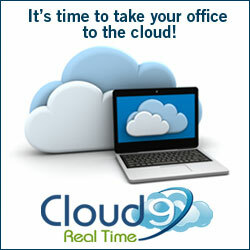 Choosing Cloud9 Real Time means selecting more than a product; it means selecting a team. Customer support, both IT and QuickBooks related, are important benefits of what you pay for. For instance, Cloud9 Real Time hosting allows QuickBooks to communicate with ACT!, so when a new client is entered into ACT!, it automatically populates the same information into QuickBooks. In addition to having more reports, Cloud9 Real Time QuickBooks data can be exported into Microsoft, Excel, which is used for formulas, inputting gridlines, and for adding columns to make notes. Letters, such as collection letters, can be manipulated in Microsoft Word to incorporate or omit elements that the template letters provided via QBOL cannot. If you have QuickBooks and then elect QBOL, your data will have to be converted, but if you have QuickBooks and then join Cloud9 Real Time, no conversion is necessary. Cloud9 Real Time’s ability to restore your financial data from a previous date is something QBOL is not equipped to do. 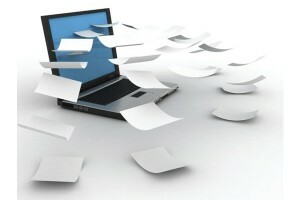 So there you have it: Benefits of QuickBooks Hosting vs QuickBooks Online, the choice is clear.